Rather than replacing your comms setup, we enhanced it. Introducing our range of call management services. 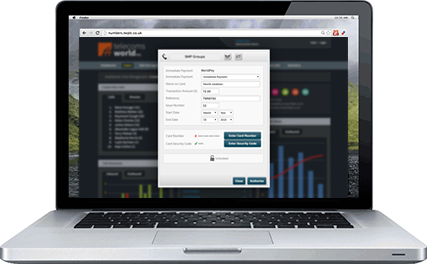 Web based call management allows you to configure where and when your incoming calls are answered. Divert calls to any landline or mobile phone. We have developed an intelligent call routing dashboard that enables you to capture all of your calls from anywhere, on any device, 24/7. The Interactive Voice Response (also known as an IVR or Virtual Receptionist) connects your callers to the right person as quickly as possible, eliminating multiple diverts or extended waiting times. Professional recordings by voice artists are available to record your greetings and messages; allowing you to set the perfect tone for your business telephony. There are various benefits to recording calls and having a call log such as compliance, market monitoring or simply to promote staff training and productivity. Record an unlimited amount of inbound calls which are saved online through our cloud-hosted database. Download individual recordings for review and playback at any time. Our best in class, Call Analytics allows you to make quick business decisions in real time. The Call Analytics platform gives you complete insight to your business calls from a single interface, to review the success of your marketing campaigns and staff call handling at a glance. In-Cloud Call Queuing allows you to queue up to 500 people at a time, listening to music or promotional messages, before being transferred through to an agent. Your callers never get an engaged tone, even if you have limited phone lines. Better call handling will increase productivity and demonstrates a good return on investment. If you process card payments unsecurely and do not comply with PCI DSS, then you are facing fines from either your bank or merchant provider of up to 4% of company turnover! We can provide secure, PCI compliant connections for processing PDQ payments or a secure environment over the phone where callers can disclose their bank details with confidence. Our exclusive Conference Call service is available for up to 10 participants. Choose your own unique number with a personalised welcome message and a dedicated PIN number to access the call. We have an extensive list of non-geographic 08 and 03 Numbers to choose from. Create a true Contact Centre to support your business at minimal expense. Our system is cloud based so it allows agents to be active from any location which is ideal for a business dealing with multiple locations as well as businesses in rapid growth or with changing infrastructures. The modern way to fax is using your E-mail! Fax to Email allows you to receive faxes using an active E-mail account to access documents anywhere from any device. The service offers extra security with all faxed documents stored online; allowing you to work with confidence.